In November of 2017, a wealthy, desperate parent, willing to do just about anything to get their child into Yale, allegedly contacted a man named William Rick Singer, who ran a business, disguised as a charity, that could accomplish that goal. The student didn't have the qualifications on her own. Singer had a solution. He took her participation as an artist and changed it to soccer, even creating a false online profile that made her the co-captain of a "prominent club soccer team from Southern California," according to a federal indictment. Singer then contacted longtime Yale women's soccer coach Rudy Meredith, who the university provides a certain amount of slots to get recruits admission to the school even if they are below traditional standards. It's designed to help the program remain competitive. Since the Ivy League does not provide athletic scholarships, it is worth no money, just access to the school. 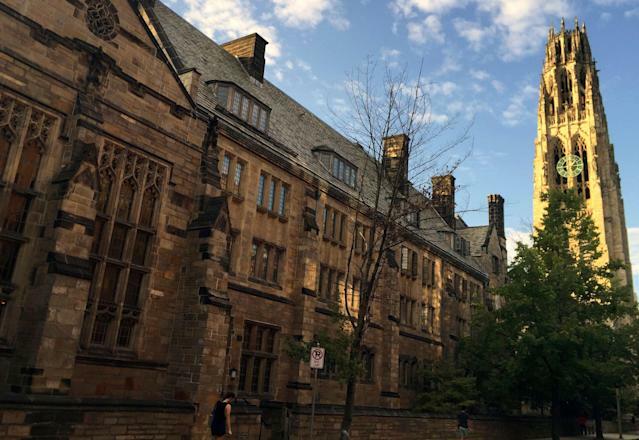 Meredith, in turn, allegedly "designated Yale Applicant 1 as a recruit for the Yale women's soccer team — thereby facilitating her admission to Yale — despite the fact that, as he knew at the time, Yale Applicant 1 did not play competitive soccer." In January, the art student was admitted to Yale as a soccer recruit. It was then that Singer sent Meredith a check for $400,000. Months later, the parents donated $1.2 million to Singer's charity. This is the heart of a widespread scam that federal prosecutors out of Boston unveiled Tuesday morning, leading to the arrest of 50 individuals — college coaches, administrators and even 33 parents, including prominent actresses Felicity Huffman ("Desperate Housewives") and Lori Loughlin ("Full House"). Many of the indictments center around using Olympic sport college coaches, including those at Texas, USC, Georgetown and Stanford. Others, including the one alleged to Huffman, featured paying Singer to fix standardized test scores to help the admission process. Singer was scheduled to plead guilty Tuesday afternoon. So, too, was a former sailing coach at Stanford who is accused of behavior similar to Meredith. Meredith resigned abruptly from Yale in November of 2018 after 24 successful seasons as the Bulldogs’ coach. The scandal is massive — big-name schools, prominent defendants and huge sums of money. "This case is about the widening corruption of admission of elite college and universities," U.S. Attorney Andrew E. Lelling said. "... These parents are a catalog of wealth and privilege. … There can be no separate admission system for the wealthy and I will add there will not be a separate justice system. The feds allege one parent gave Singer $6.5 million to aid a single child. "From 2011-2018 wealthy parents paid Singer $25 million to guarantee their children's admission to elite schools," Lelling continued. The feds said they uncovered this criminal ring while investigating a non-related matter involving the college admission process. They acknowledge they didn't catch everyone, which comes as a surprise to no one. The elite college admission process has been fraught with corruption, quid pro quos and favoritism for generations. Lelling even noted that this doesn't even touch on more obvious tactics such as a parent donating millions for the construction of a new building on campus in exchange for admission of a child. It is no less distressing, however, that the merits of some students were overridden by the wealth and privilege of students of lesser merit. "This is zero sum, Lelling said. "For every student admitted through fraud, an honest, hard-working student was rejected." Among the more prominent names, Huffman allegedly paid Singer's "charity" $15,000 to have her daughter's SAT score fixed by first using doctors to allow for her to get an untimed test and then have a stand-in take the test and post a score of 1420. The plan worked so well, Huffman later discussed doing it again for her younger daughter but in the end declined to move forward. She was one of the few to do so.